Acclaimed biographer Clare Mulley tells the extraordinary story of Britain's first female special agent of World War II, a charismatic, difficult, fearless, and altogether extraordinary woman. The daughter of a feckless Polish aristocrat and his wealthy Jewish wife, Granville would become one of Britain's most daring and highly decorated special agents. Having fled to Britain on the outbreak of war, she was recruited by the intelligence services and took on mission after mission. She skied over the hazardous High Tatras into occupied Poland, served in Egypt and North Africa, and was later parachuted behind enemy lines into France, where an agent's life expectancy was only six weeks. Her courage, quick wit, and determination won her release from arrest more than once, and saved the lives of several fellow officers - including one of her many lovers - just hours before their execution by the Gestapo. More importantly, the intelligence she gathered in her espionage was a significant contribution to the Allied war effort, and she was awarded the George Medal, the OBE, and the Croix de Guerre. The book is called The Spy Who Loved because Christine was a passionate woman. She loved action and adrenalin. She loved men, and they loved her, and she loved freedom and independence - both for her country, Poland, and for herself, personally. What do you think she was most passionate about? Mulley writes that Christine "lived boundlessly, as generous as she could be cruel." What do you think were Christine's greatest strengths, and what were her weaknesses? What do you think Christine would have done with her life if the Second World War had not taken place? What do you think she would have gone on to do with the rest of her life, were it not for her untimely death? This biography insightfully explores Christine Granville's ineffable qualities and illuminates a little-known, but fascinating character from history. Christine was indeed a spy who loved. She loved freedom, Poland, a handful of interesting men, and a life full of adventure. Fans of WWII history, espionage, or James Bond will be delighted by this real-life espionage story. (Reviewed by Sarah Sacha Dollacker). Better than any James Bond novel… The most frank and comprehensive tribute yet to Christine… A thrilling account. This summer’s most spellbinding saga of espionage and adventure. Outstanding...more eye-popping adventures than we’d find plausible in any novel or movie. Compulsively readable… [Mulley] has written a thrilling book, and paid overdue homage to a difficult woman who seized life with both hands. Brings alive a glamorous, swashbuckling heroine. Engrossing biography details the high-voltage life of one of Britain's most remarkable female spies... Fascinating. Mulley's fastidiously researched tome provides the most detailed picture yet. Drawing on an unprecedented range of sources, Clare Mulley's The Spy Who Loved is a fine account of Christine Granville's extraordinary war, told with skill and care... Mulley succeeds in making her human... What is quite clear from this inspiring biography is that Granville was as charismatic as she was courageous. This book, massively researched and excitingly told, brings an extraordinary heroine back to life. This is a meticulously researched but also highly readable account of [Granville's] heroic but unfulfilled and deeply tragic life, without any attempt at gloss. It is one of the most exciting books I've read this year. Assiduously researched, passionately written and highly atmospheric biography… Not just the story of a uniquely brave and complicated patriot, but also a scholarly and tautly written account of secret operations in occupied Europe. Starred Review. [Mulley] gives a remarkable, charismatic woman her due in this tantalizing biography. Christine Granville worked for the Special Operations Executive (SOE), an organization set up to assist European resistance movements and according to Winston Churchill, "to set Europe ablaze." The SOE was formed from three different but overlapping units: a propaganda unit known as Department EH run by a Canadian newspaper magnate; Section D, a division of the Secret Intelligence Service focused on sabotage and propaganda; and a department of the War Office, known as MI R. In July 1940, all three were rolled into one organization - the Special Operations Executive. 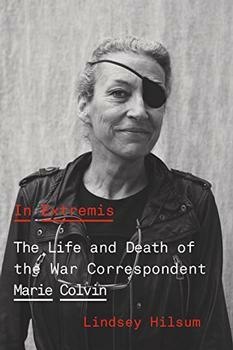 The devastating biography of Marie Colvin, the foremost war reporter of her generation, who was killed in Syria in 2012.